free-mysql-to-sql-server-migration-tool-available-for-download-2Berkutat with databases is sometimes confusing, especially if we are forced to take action when the system turns out that we use have to use other databases, like it or not we do is change it. But now if you are forced to have to convert MySQL databases into SQL Server, seemingly would be a difficult thing to do anymore. 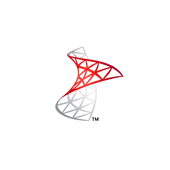 Microsoft has recently been providing a free application to migrate MySQL database into SQL Server. Application called SQL Server Migration Assistant (SSMA) for MySQL v1.0 is not only able to convert MySQL databases into SQL Server 2005 database, but also can even turn it into SQL Server 2008 and SQL Azure. Microsoft party underlines that the application is capable of automating aspects of the migration process from MySQL to SQL Server 2005, SQL Server 2008 and SQL Azure. "SQL Server Migration Assistant for MySQL is the latest conversion application which is also capable of processing the Oracle, Sybase, Access and analyzer for PowerBuilder. The tool is designed to handle a fairly complicated manual process where when we are required to perform the migration. In using the SQL Server Migration Assistants, customers and business partners to reduce the manual way, so the advantage gained is more time efficient, cost and risk when performed migration. According to a survey we did recently, people who download SSMA 94% would recommend it to others, "said Erika Sommer, a member of Microsoft's SQL Server marketing team. Microsoft SQL Server Migration Assistant that is currently released by Microsoft as a free application, which users will not cost you a bit. Reportedly this application will continue to be freely distributed even after the general availability in mid-2010. "Since the application of SQL Server Migration Assistants for Oracle is available in June 2005, Microsoft has seen more than 250,000 penggunduh have downloaded these applications. Motorola, Simon & Schuster, Sony Ericsson and Artesia are a few of the customers using SQL Server Migration Assistant to do the conversion to Microsoft SQL Server, "said Sommer added.